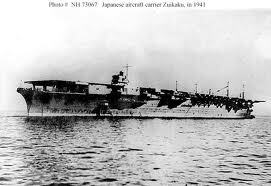 Throughout the winter and early Spring of 1941/42, Japanese naval forces seemed unstoppable, roaming freely throughout the Central and Western Pacific Ocean, occupying territory and attacking allied military forces and facilities. Following the loss of the H.M.S. Prince of Wales and H.M.S. Repulse within days of war being declared between the Japanese Empire and Great Britain, British and allied forces had been continuously pushed back and were retreating. The Phillippines were lost, the great British fortress of Singapore was overrun, and much of the Dutch East Indies were brought under Japanese control. Australia was being threatened, as were convoy routes in the Indian Ocean. 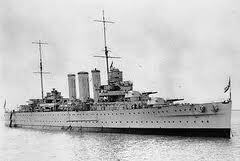 Allied naval forces, those that had not been destroyed anyway, were withdrawn. 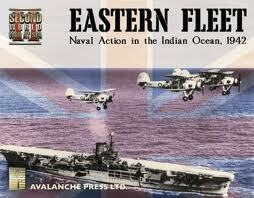 The British Eastern Fleet had withdrawn to the British colony of Ceylon, a large island off the coast of India. The fleet was weak, but was being reinforced by warships transferred from other areas. Admiral Sir James Somerville was appointed to command this fleet. The Japanese wasted no time in making plans to continue their offensive actions against the British. They planned to deploy a large, powerful naval force into the Indian ocean to attack shipping and to attack the British base at Ceylon. 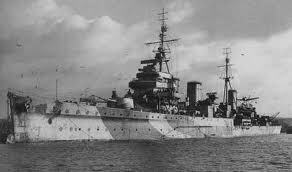 They hoped to destroy the remnants of the British Eastern Fleet as well. 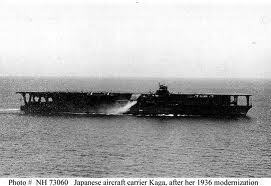 On March 26, 1942, the large Japanese force, consisting of six aircraft carriers (Akagi, Kaga, Soryu, Hiryu, Shokaku, Zuikaku), four fast battleships (Kongo, Haruna, Hiei, Kirishima), three cruisers (Tone, Chikuma, Abukuma), and numerous destroyers, departed its base in the Dutch East Indies under command of Vice Admiral Chuichi Nagumo. 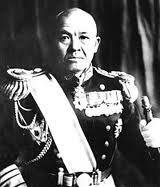 commander of the Japanese striking force. 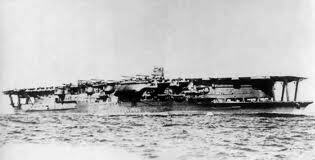 Japanese carrier Akagi, flagship of Vice Admiral Nagumo. Admiral Somerville had been alerted of the Japanese deployment and general plans through signals that were intercepted and decrypted. He estimated the Japanese fleet would attack Ceylon on April 1st or April 2nd, including the naval bases at Colombo and Trincomalee. Unknown to the Japanese, before the war the British had been developing a secret base at Addu Atoll in the Maldive Islands. Admiral Somerville decided to base his fleet there, rather than at Ceylon. 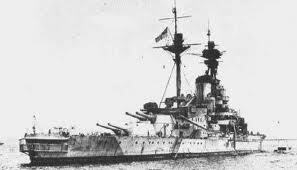 Admiral Somerville, flying his flag in battleship Warspite, chose to divide his fleet into two separate components. 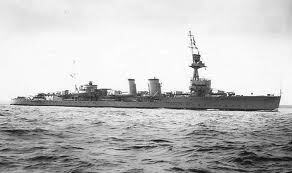 The faster and more modern ships (carriers Formidable, Indomitable, battleship Warspite, heavy cruisers Cornwall and Dorsetshire, light cruisers Emerald and Enterprise, and several destroyers) were deemed "Force A". 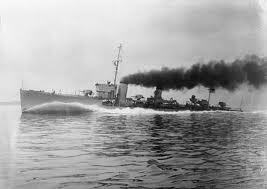 The older and/or slower ships (carrier Hermes, battleships Revenge, Resolution, Ramilles, and Royal Sovereign, light cruisers Dragon, Caledon, and the Dutch Jacob Van Heemskerk, and several destroyers) were deemed "Force B". Due to the slow speed of the Revenge class battleships, Force B could be considered more of a liability than an asset to Somerville. The small British carrier Hermes. underway in the Indian Ocean. attached to British Eastern Fleet. by Japanese naval aircraft. 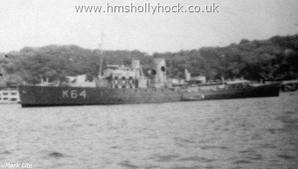 The Hollyhock was also sunk. The Japanese attack on Ceylon failed to materialize on either April 1st or April 2nd as expected, although a smaller, independent Japanese force had attacked and sunk several merchant ships in the Bay of Bengal. 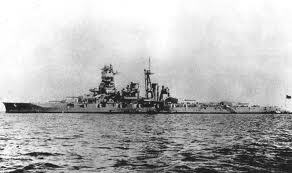 Lacking current or accurate information as to the location of the main Japanese fleet, Admiral Somerville decided to return to Addu Atoll to re-fuel and to allow the Revenge class battleships to take on more water. 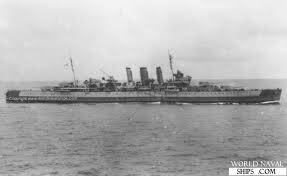 He decided to send the small carrier Hermes back to Trincomalee for some needed repairs, escorted by heavy cruisers Cornwall and Dorsetshire and the Australian destroyer Vampire. 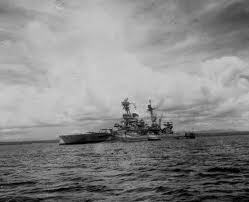 Hermes and Vampire arrived at Trincomalee while the two heavy cruisers were diverted to Colombo. On the evening of April 4th, a catalina flying boat search plane operating from Ceylon located the Japanese fleet approximately 400 miles South of Ceylon. 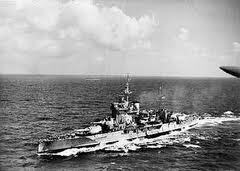 Somerville ordered the Cornwall and Dorsetshire to leave Colombo and rejoin his Force A at best speed. The next morning, April 5th, the Japanese launched a large air attack on Colombo, Ceylon consisting of 125 bombers escorted by 36 Zero fighter aircraft. 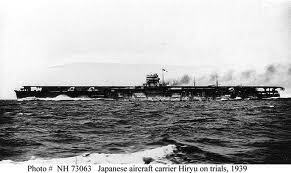 The Japanese attacked and destroyed much of the shipping remaining in the harbor, including the immobilized destroyer H.M.S. Tenedos and the armed merchant cruiser H.M.S. Hector. in the harbor at Colombo, Ceylon during the Japanese air attack. 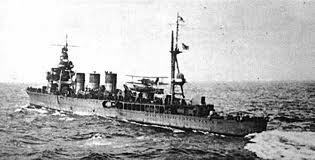 The Japanese aircraft also spotted Cornwall and Dorsetshire approximately 200 miles Southwest of Ceylon while they were steaming to rejoin Admiral Somerville. 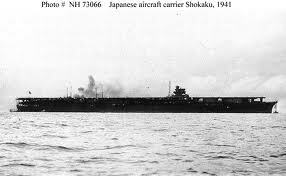 The Japanese carriers launched a second air attack aimed at these two heavy cruisers. 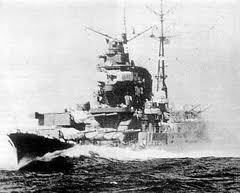 They came under heavy air attack and were overwhelmed with bombs and torpedoes. 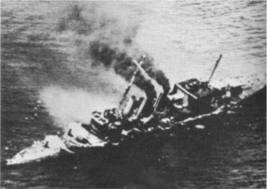 Both cruisers sank with a combined loss of 424 men killed. also sunk in this same attack. Admiral Somerville planned to launch a night torpedo attack against the Japanese forces. Somerville had the advantage of radar aboard not only some of his ships but also aboard some of his Albacore torpedo bombers. Somerville also sought a night surface engagement. 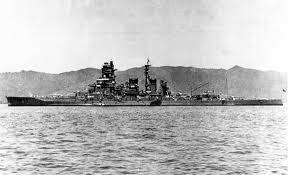 Utilizing his advantage of radar, he felt, would allow the slow Revenge class battleships to bring their heavy armament into action because the disadvantage of their slow speed would be somewhat negated at night. Force B opeated as a support group to Force A, conforming with its movements and maintaining station about 20 miles to the Westward of Force A. Albacore search planes from Somerville's carriers located the Japanese fleet but unfortunately failed to give accurate contact information before they were shot down. At one point, the two fleets came to within 200 miles of one another without contact being made. 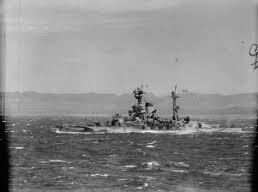 During the night of April 5th, the British continued trying to locate the Japanese fleet but were not successful. 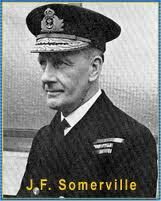 Since Cornwall and Dorsetshire had failed to rendezvous with Force A as ordered, Admiral Somerville suspected they may have been destroyed. 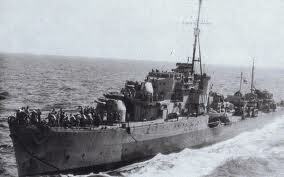 He dispatched a cruiser and destroyers to look for them, while the remainder of his forces returned to Addu Atoll. Survivors were located in the water the next day and rescued by light cruiser Enterprise and her escorting destroyers Paladin and Panther. Somerville continued to operate from Addu Atoll, searching for the Japanese, but was never again able to make contact with the Japanese striking force. commander of the British Eastern Fleet. Four days later, on April 9th, the Japanese launched an attack on the naval base at Trincomalee. As before, the British had prior warning of the attack, which allowed the carrier Hermes, destroyer Vampire, and corvette Hollyhock to flee the harbor before the attack commenced. 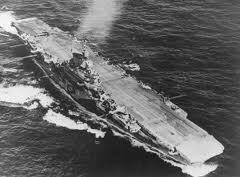 The Hermes had no aircraft aboard, and thus had no fighter aircraft available to engage the Japanese bombers. Her aircraft had been operating from land based air fields on Ceylon, and most had already been destroyed. 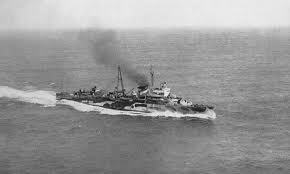 After the attack on Trincomalee was over, the Hermes and her consorts altered course to return. Unfortunately, they were located near the coast by Japanese aircraft and an attack was launched. 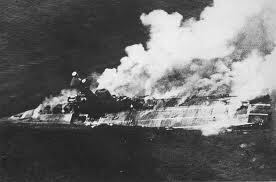 Seventy Japanese planes attacked these three ships, and the virtually defenseless Hermes sustained forty hits and quickly sank with heavy loss of life. The Vampire and Hollyhock were also sunk. Hospital ship Vita later picked up 590 survivors in the water from these three ships. Following the sinking of the Hermes, the Japanese fleet left the Indian Ocean, never to return again. Ceylon had not been invaded, as had been feared, but the ferocity and strength of the Japanese naval air forces had overwhelmed the meager British defenses. The Japanese admitted to losing no more than five aircraft, however the British claimed at least eighteen had been shot down. 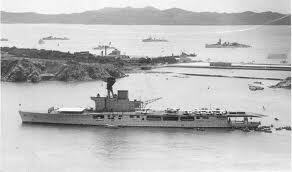 The Japanese lost no ships, nor had any even come under attack, while the British lost the carrier Hermes, heavy cruisers Cornwall and Dorsetshire, destroyer Vampire, corvette Hollyhock, and numerous auxiliary and merchant vessels, as well as most of their aircraft. The results clearly indicated that the Japanese had superior aircraft and used superior tactics compared to their British adversaries. 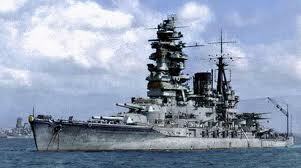 Japanese warships were also faster, and many were more modern than their British counterparts. The British admirality deemed Ceylon to be too dangerous to continue serving as the Eastern Fleet's front line base. On April 9th, Force A was withdrawn from Addu Atoll to Bombay, India, arriving April 13th, while Force B was withdrawn to the East coast of Africa, arriving April 15th. 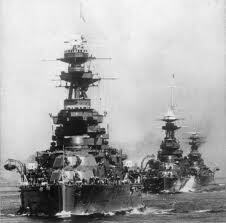 For the next two and a half years, the activities of the British Eastern Fleet would be primarily reduced to escorting convoys, and the most modern ships were withdrawn from the Indian Ocean and sent to other theaters for duty there. 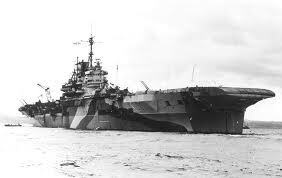 It would not be until 1944 that the British Eastern Fleet was again reinforced with modern warships and began planning and undertaking limited offensive operations against the Japanese, who by then had been substantially weakened from the unrelenting assault they were under from the advancing United States military forces. Good stuff, loving the history!